In normal daily life, you become so accustomed to having hot water on tap that little attention is paid to how it gets there until it is no longer available. Your water heater, whether the tank type or the tankless version required regular maintenance in order to maintain efficiency and prevent Water Heater Repair and Service in Guelph, ON. Of course, even regular maintenance is no guarantee that this will never happen, however, it will prolong the instance of this ghastly event. Picture coming home from your afternoon run or coming in from a cold downpour of rain and stepping into the shower. You turn the tap and the warmth engulfs you but that is short lived. Suddenly the water turn icy cold and your nightmare begins. Something has gone horribly wrong, it can’t be the water that has run out, you are the only one home so it can only be a fault. 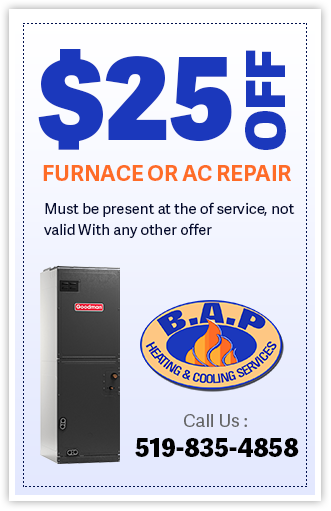 B.A.P Heating & Cooling is available anytime day or night and any day of the week for just such an emergency. We carry out Water Heater Repair and Service in Guelph, ON that will have you enjoying the steamy, blissful pleasure of a hot shower again in no time at all. Your water heater is a complex system of parts and anything can wrong at any time. Whether your installation is gas or electrically-driven it will be prone to breakdown at some point, regardless of regular maintenance. There is nothing more disheartening than starting the day off with a cold shower and nobody should have to endure that. 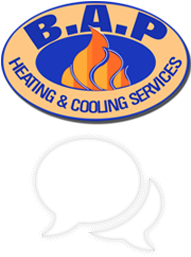 We, at B.A.P Heating & Cooling take care of our customers in every way possible. We are quick to respond to your calls for help, our trained team rushing to your aid. We are able to evaluate and troubleshoot the problem and provide you with an upfront quotation on the cost implications of carrying out the repair. We are fast to get the ball rolling once you have approved and endeavor to have your water heater back to piping hot in record time. The wonderful thing about upfront pricing is there are no nasty surprises that await you. You know before you give the go-ahead what the cost will be and that is what you pay. Our Water Heater Repair and Service in Guelph, ON guarantees you an enhanced performance of your equipment and longevity overall. If a repair will have no positive effects then we won’t carry it out, we would much rather save you the unnecessary costs and provide an alternative solution that will save you in the long-term. Call B.A.P Heating & Cooling today to experience warm water on tap. We keep your water running hot when you need it most. Our service delivery is impeccable, our equipment superior and our workmanship is unmatched in the industry. We serve you with pride and believe nothing less than the best is good enough for our clientele. 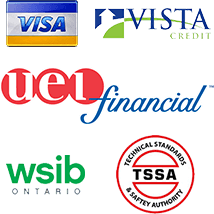 Experience our Water Heater Repair and Service in Guelph, Rockwood, Milton, ON and you’ll never go anywhere else. Contact us today!